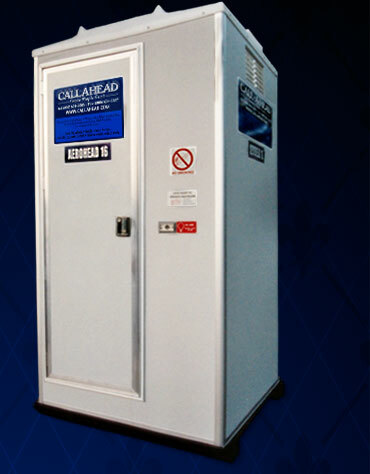 The dynamic company, CALLAHEAD, proudly introduces The Mobile Comfort Station, a new, extremely mobile, portable toilet trailer. 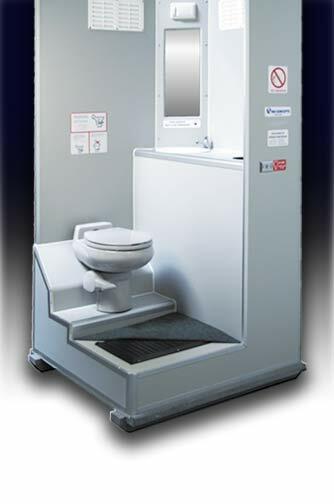 The Mobile Comfort Station has redefined the standard of excellence in the portable toilet industry. 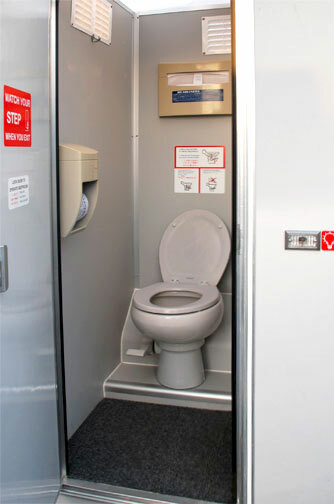 The Mobile Comfort Station is designed to be similar to the aero engineered lavatories used on commercial aircraft. 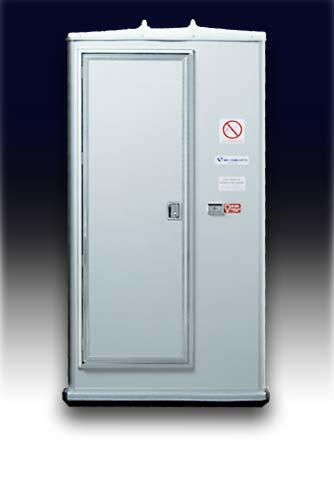 With each unit offering complete privacy, The Mobile Comfort Station is fully self-contained, outfitted much like your guests might find in their own home. The Mobile Comfort Station is specially designed to be completely solar powered, requiring absolutely no power or water supply to operate. Fabricated from smooth grey marine grade plastic construction, The Mobile Comfort Station mobile restroom trailer is completely dirt resistant and its durable, pristine-white interiors project an ambience of ultra cleanliness! • Winterized Package: Year-round rest room includes interior heater, insulated holding tank and fresh water tank with RV style heat pads, 3” circulation fan, insulated plumbing lines with 6” plumbing heat tape, G.F.I.C. outlets, 10’ extension cord, 110 volt power converter (converts 110 volt AC to DC for operating water pump and lights), electrical hatch for extension cord. • Winterized/Solar Package: Winterized package as described above plus DC-27 maintenance free battery and 10 watt solar panel for summer operation. • Warm Water Hand Wash: Offer your customer the option of warm water hand washing with the Port-A-Hot Water Heater. Temperature is preset to 105 degrees. Compact in size. Meets O.S.H.A. requirements. Installs in minutes. Plugs in to a standard 110 volt outlet. • Power Converter: For use when units are placed in parking structures, inside warehouses or locations where sunlight is not available for solar charging. Supplies restroom with power and charges battery at the same time. Unplug the converter and unit operates off the battery. • City Water Connection: Allows constant water supply to rest room by hooking up a garden hose to the unit. Includes built-in pressure regulator set at 50 P.S.I. • Dump Valves: Allows for quick and easy waste removal. Convenient 3” dump valve system may be installed in single units and trailer mounted units. • Dispenser Kit: Includes James River Rollmaster Toilet Tissue Dispenser, Bobrick Stainless Steel Deck Mount Soap Dispenser, single fold towel dispenser and seat pad dispenser. Convenient sink with self-closing faucet.